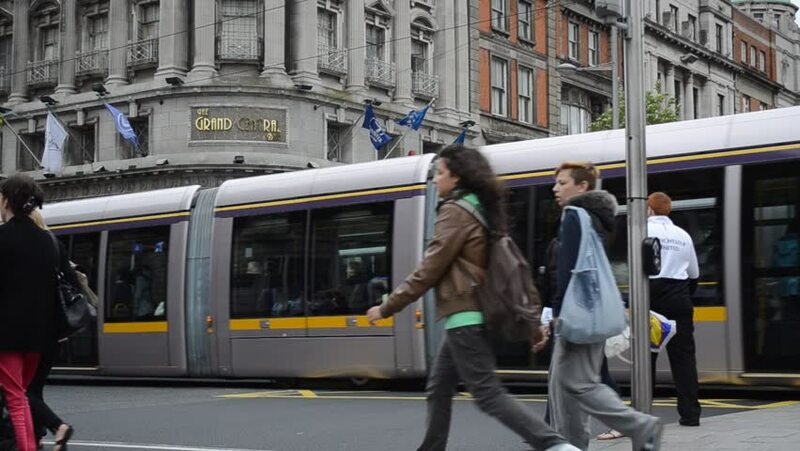 DUBLIN, IRELAND - CIRCA 2011: Public transport tram system (LUAS) and people crossing the intersection circa 2011 in downtown Dublin, Ireland. 4k00:14KYIV, UKRAINE - October 28, 2018. Ukrainian policemen stand near the car blocking the road. 4k00:13Bristol, England / United Kingdom (UK) - 02 12 2018: Street corner view of Broad Quay bus stop on a cloudy day. hd01:47ISTANBUL, TURKEY - JUNE 26 ,2015:.Passengers are traveling in the street tramway which shuttles between Kabatas and Bagcilar T1 passes through the historical part of the city. 4k00:11Lviv, Ukraine, January 2019: - People or pedestrians walk around the Market Square(Ploscha Rynok) street in Lviv in the winter season. And on the street going trams. hd00:23Milan, Italy- February 24, 2017 . Public transport and cars in the shoping area. People are standing at the crossroads . Zoom in.